WhatsApp is taking its 'Delete for Everyone' feature (one that lets users recall/delete their messages) to a new level. The new feature lets users delete messages for everyone from seven minutes after sending to approximately 68 minutes (4,096 seconds), according to a Hindustan Times report. According to WABetaInfo, as quoted in the Indian Express, this feature can be used by people using WhatsApp Android beta version 2.18.69. The release for Android and iOS is expected to be released soon. WhatsApp had rolled out its most anticipated feature, 'Delete for Everyone', in 2017 that allowed its over one billion users to revoke their messages in a private or group conversation. The users could only delete messages for everyone for up to seven minutes after sending. "Once seven minutes have passed, there is no way to delete messages for everyone," Facebook-owned WhatsApp had said in its updated FAQ. "In order for messages to be successfully deleted for everyone, both the sender and the recipient must be using the latest version of WhatsApp for Android, iPhone or Windows Phone," the micro-blogging platform said. WhatsApp had been working on this feature for almost a year. "Deleting messages for everyone allows the user to delete specific messages that they have sent to either a group or an individual chat. 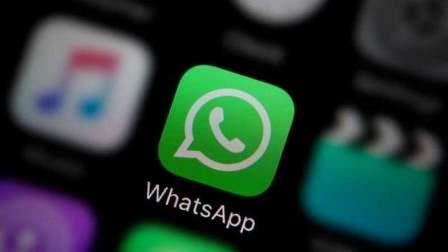 This is particularly useful if the user sends a message to the wrong chat or if the message sent contains a mistake," WhatsApp noted. Messages that the user successfully deletes for everyone will be replaced with "This message was deleted" in the recipients' chats. Similarly, if a person happens to see "This message was deleted" in a chat, it means that the sender deleted their message for everyone.